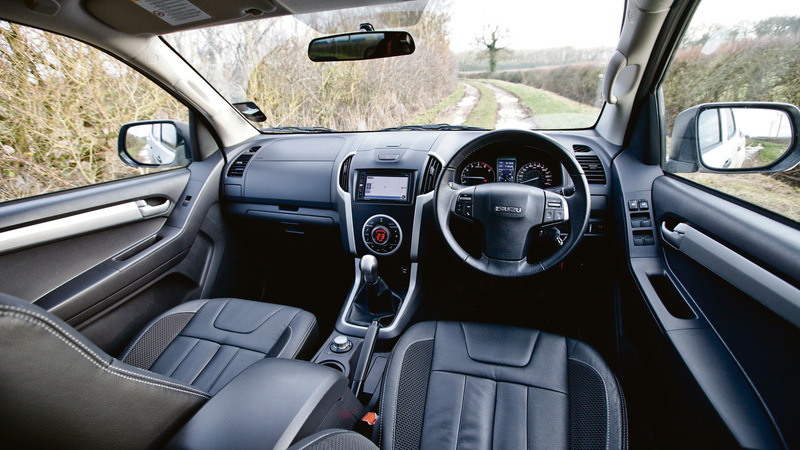 Called the D-Max Blade, this special edition model comes with £5,000 worth of extras over and above one of Isuzu’s premium-spec D-Max models. Choosing a Blade special edition sees 18in six-spoke shadow grey alloy wheels, with the grey theme continuing up front. The Blade gets a grey front grille plus privacy glass, black door handles and tailgate handle, black roof bars, a black rear bumper and heavy duty side steps. Such appointments create a stark contrast to our test model’s solid white paintwork. 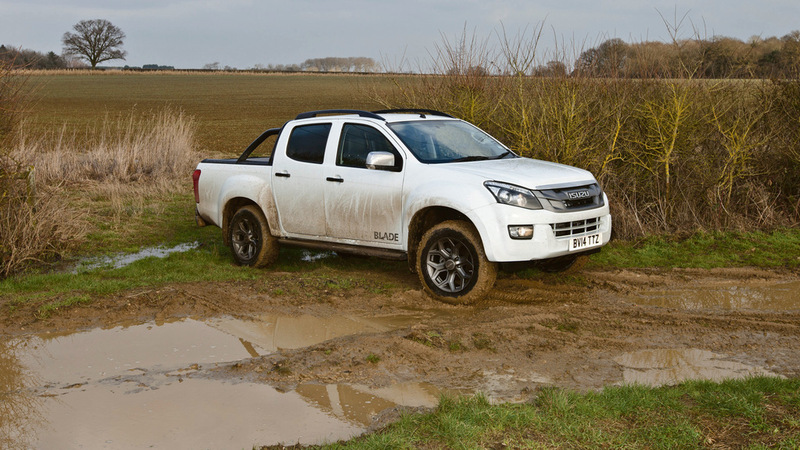 While such a colour might not be too farm-friendly, and may perhaps require constant attention with the pressure washer, the other paint option for the D-Max blade is a mica black finish. Specification includes a load bed liner, roller top cover and sports bars. It does create a neat finish to the load area, but you will be pulling your hair out looking for tie-down points when you cannot use the roller top to cover the load you would like to carry. While you may not be able to secure your load, it does have a one-tonne payload potential and comes with a 3.5t towing capacity. Inside the Blade though, you will find far more creature comforts. Automatic climate control and black leather seats are the two key appointments for this model, with a 6.1in Pioneer touchscreen navigation unit offering a view of the towing hitch area from its built-in reversing camera. But with the camera located under the top edge of the rear bumper, you will get to read the number plate in reverse, and little of the surrounding areas. While the Pioneer touchscreen boasts an enhanced audio experience from eight speakers in the doublecab, we found the unit tricky to negotiate and its shortcut buttons were too small and fiddly to use with big fingers. 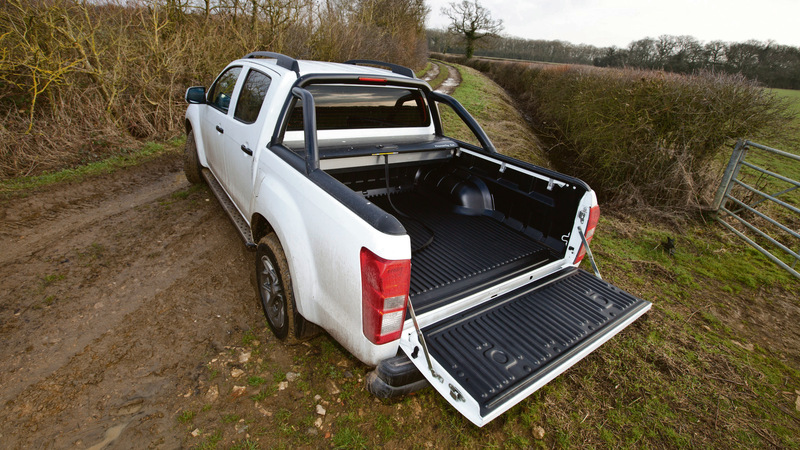 Under the bonnet, the D-Max Blade is unchanged from its stablemates. The 2.5-litre twin turbo diesel engine serves up a decent level of fuel economy and while unladen, this means 32-33mpg on longer runs. Without a tow hitch on our test model, there was no opportunity to stretch the Blade’s legs with a laden trailer. Though be prepared to stir the gear stick. Ratios feel lengthy and sixth gear is very much for the motorway. There are worse places to spend a day, though the Blade was blighted by a couple of annoying niggles, including sun visors which would not stay secured in their holders and a roller top which needed more than one or two good hard tugs to latch securely. Once closed, you can at least lock the top and the tailgate. Despite its striking looks, the Blade is not swamped by luxury trappings, so it can still hold its own as a workhorse, and it is backed up by a five-year 125,000-mile warranty.